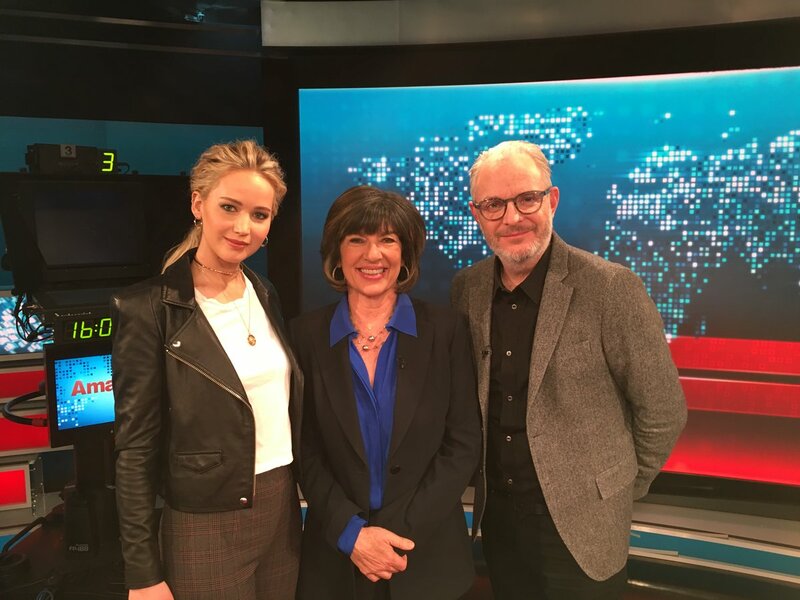 Actress Jennifer Lawrence visited the CNN London newsroom during her trip. Sources tell BuzzFeed News that CNN staffers may have freaked out a little. CNN brass was apparently embarrassed by the incident. CNN bureau chief Tommy Evans and London editor Krsna Harilela asked journalists to please calm down around the celebrities in an internal memo obtained by BuzzFeed. “The guest traffic in the London bureau has increased and at times, we are graced with the presence of high profile athletes, celebrities and politicians,” the memo read. When reached for comment by BuzzFeed, CNN didn’t offer any. Amanpour probably was acting the worst she really is a kissass lovey who thinks she is something special time CNN called time on this woman.